Apple has filed a massive patent with the WIPO that details how Touch ID might be used as a trackpad controller for handheld devices, reports Unwired View. Entitled, 'DEVICE, METHOD, AND GRAPHICAL USER INTERFACE FOR MANIPULATING USER INTERFACES BASED ON FINGERPRINT SENSOR INPUTS' the patent outlines how the movement of a finger over the Touch ID fingerprint sensor could be used to trigger various actions. In one embodiment, a right to left motion is used to pan Maps. Moving your finger upwards over the sensor launches the multitasking switcher similar to how a swipe up from the bottom of the display does now. Apple also details other motions such as 'Revolving' your finger around and 'Twisting' your finger on the sensor. In addition, the Touch ID Home button is shown to measure the force and time of a finger press allowing another layer of functionality. 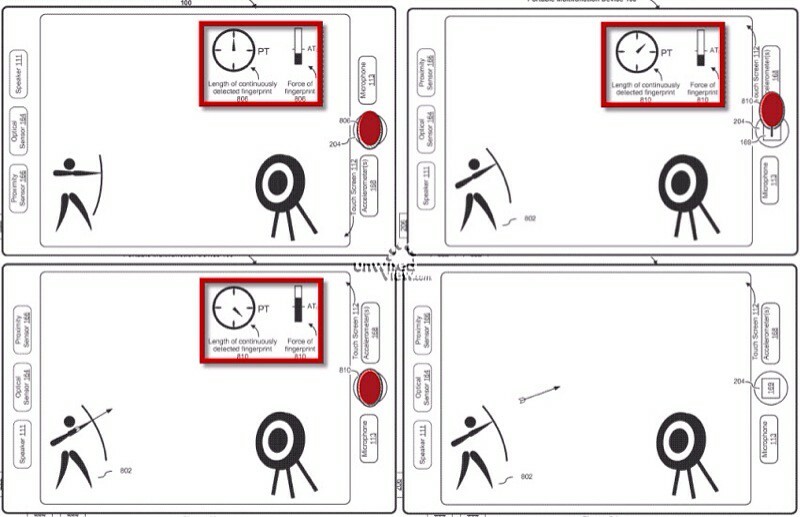 One embodiment of this shows the sensor being used as controls for an archery game. Another embodiment depicts the movement of your finger around the sensor, measuring time and pressure, to navigate between icons on your dock. 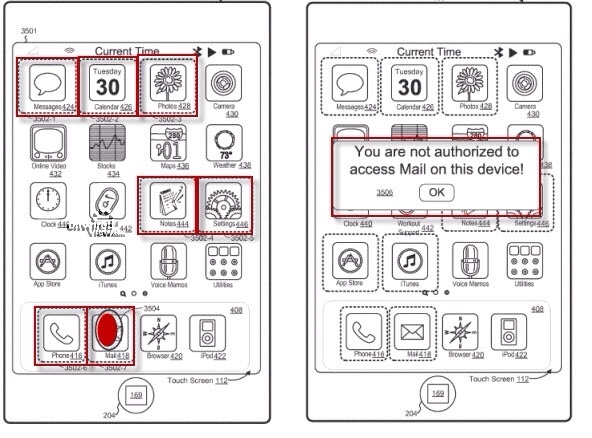 The patent also details the possibility of integrating the Touch ID sensor into a device's display. 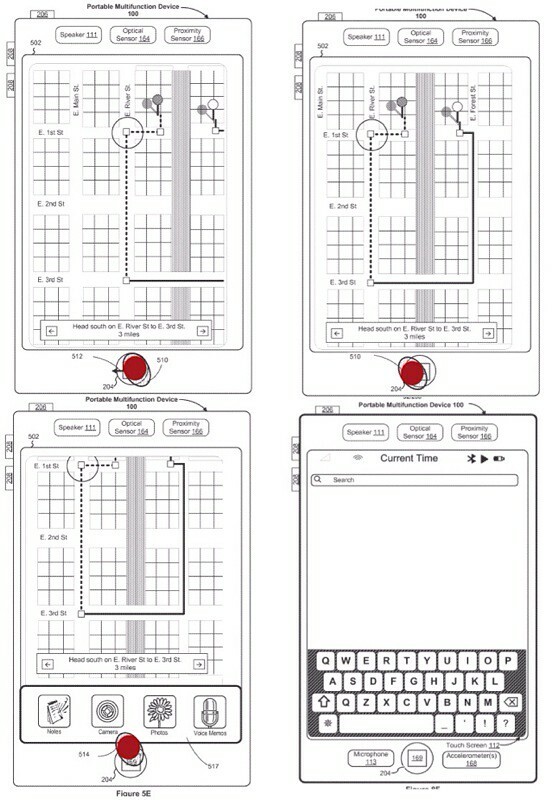 Specific areas of the screen could designated as being in enhanced sensitivity mode and when touched would perform fingerprint recognition. For example, the area above the Mail icon could be designated as Touch ID sensitive, only allowing an authorized finger to launch the app. 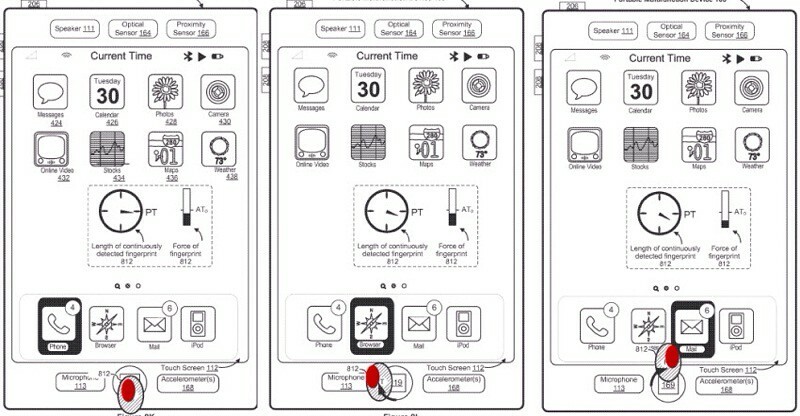 Another use of a fingerprint sensing display might be customized gestures where actions are launched based on the gesture and the specific finger/s detected.